Aggressive driving occurs all the time, but commercial trucks are some of the most common violators of this offense. Many truck drivers show no apprehension on the road due to the size of their vehicles, and feel no threat to their personal safety when they drive aggressively. Many truck drivers have strict and unrealistic deadlines to meet, and many find the need to drive aggressively in order to meet their deadlines on time. Unfortunately, aggressive truck drivers are one of the main causes of deadly automobile accidents. Were you or a loved one injured in an accident due to an aggressive truck driver? 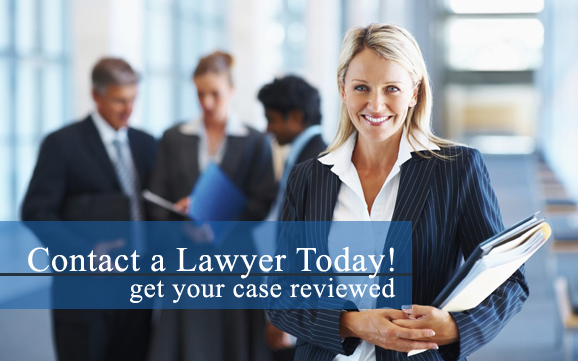 Our lawyers can help! Contact our truck accident attorneys today. Arizona: Speeding and least two of the following: failure to obey traffic control device, passing on the right out of regular lanes of traffic, careless lane change, tailgating, failure to yield right of way; and is an immediate hazard to another individual or vehicle. California: Causing certain bodily injuries to another individual other than the driver. Specifically cites drivers engaged in racing. Delaware: At least three of the following: failure to obey traffic control device, passing on the right, driving outside the lanes of traffic, tailgating, failure to yield right of way, failure to signal, failure to stop or yield at signs, passing a stopped school bus, speeding. Florida: At least two of the following: speeding, careless lane change, tailgating, failure to yield right of way, improper passing, failure to obey traffic control devices. Georgia: Intent to irritate, harass, molest, intimidate, injure or distract another person, while doing one or more of the following: overtaking and passing another vehicle; violating traffic lane markings; tailgating; violating signal, lane change, slowing or stopping laws; impeding traffic flows; reckless driving. Indiana: At least three of the following: tailgating, unsafe operation, passing on the right off of roadway, unsafe stopping or slowing, unnecessary sounding of the horn, failure to yield, failure to obey traffic control device, speeding, repeatedly flashing headlights. Maryland: At least three of the following: failure to obey traffic control device, overtaking and passing, passing on right, driving on laned roadways, tailgating, failure to yield right of way or speeding. Nevada: Within one mile, commits all of the following: 1) speeding; 2) at least two of the following: failure to obey traffic control device, passing on the right off of paved roadway, tailgating, lane violation, failure to yield right of way; and 3) creating an immediate hazard for another vehicle or individual. New Jersey: Driving a vehicle in an unsafe manner at the discretion of the officer on patrol. North Carolina: Speeding and driving carelessly and heedlessly in willful or wanton disregard of the rights or safety of others while committing at least two of the following violations: running a red light or stop sign, illegal passing, failing to yield right of way, tailgating. Pennsylvania: Drivers must drive courteously and defensively, not aggressively. Rhode Island: Speeding and at least two of the following: failure to obey traffic control device, overtaking on the right, driving outside the lanes of traffic, tailgating, failure to yield right of way, entering roadway unsafely, failure to use turn signals, failure to stop or yield at signs, use of emergency lane for driving in. Utah: Reckless driving defined as willful and wanton disregard for safety of individuals or property or three or more moving violations in a single continuous period of driving. Virginia: Intent to harass, intimidate, injure or obstruct another individual while committing at least one of the following: failure to drive on the right side of highway, driving outside of marked lanes, tailgating, failure to yield or stop before entering roadway, failure to obey traffic control device, passing when overtaking a vehicle, passing on right, failure to yield right of way, speeding, stopping on a highway. Contact a lawyer today if an aggressive truck driver was the result of your car accident!